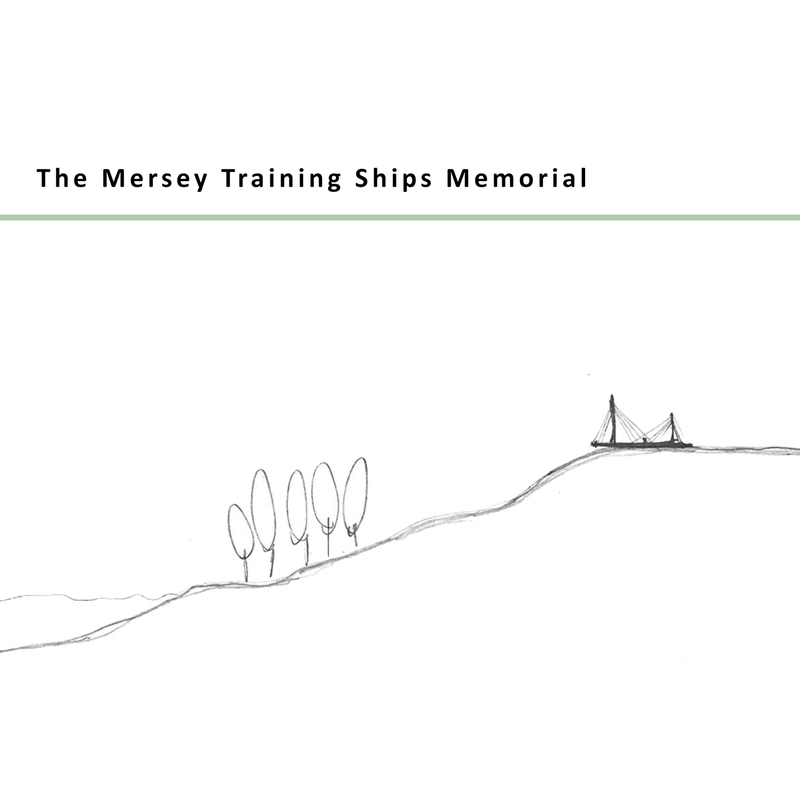 A war memorial designed by Hannah Flory at John McCall Architects has been awarded first place by the Mersey Training Ships Memorial Trust. 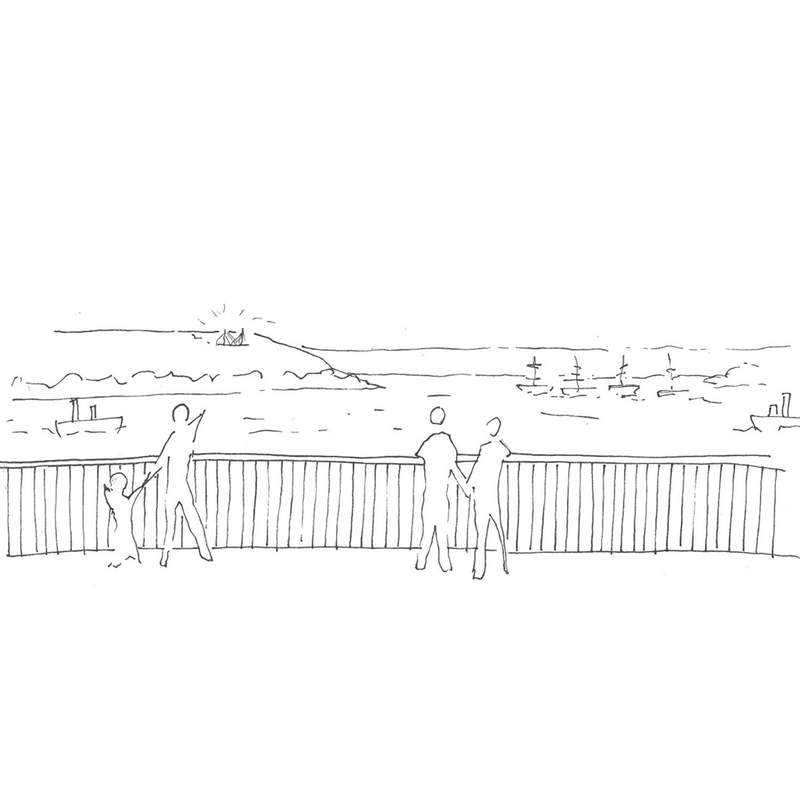 We are currently developing the design with the Trust and Cammell Laird. The memorial aims to commemorate those that served in the 4 training ships which were docked in the Mersey. The memorial is designed around a compass needle inspired base, which directs the eye towards ‘The Sloyne’ where the training ships were originally docked. 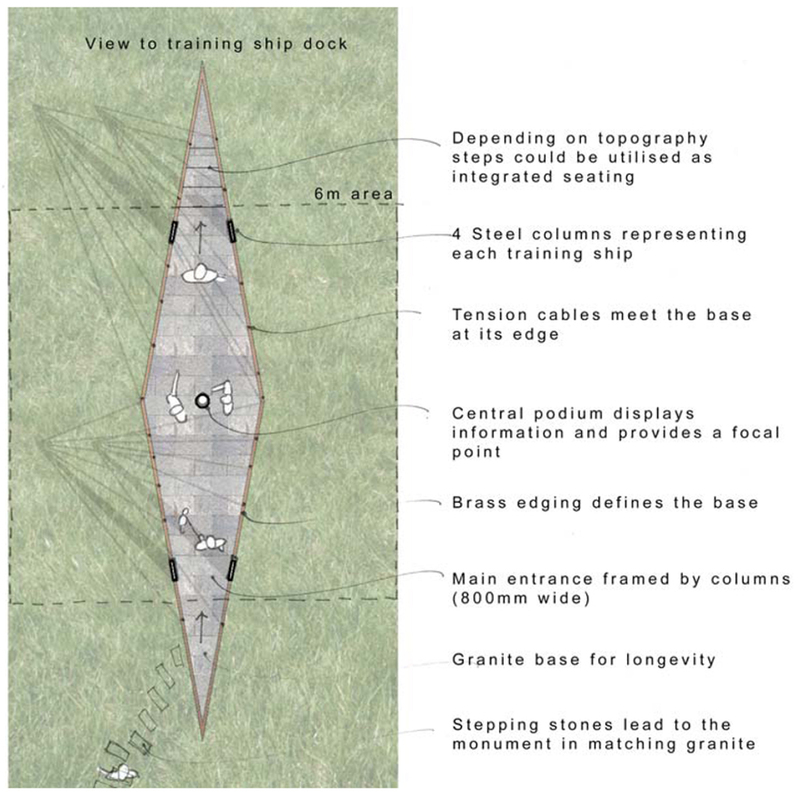 The entry into the space and view from it is framed by 4 stainless steel posts which represent the 4 ships. 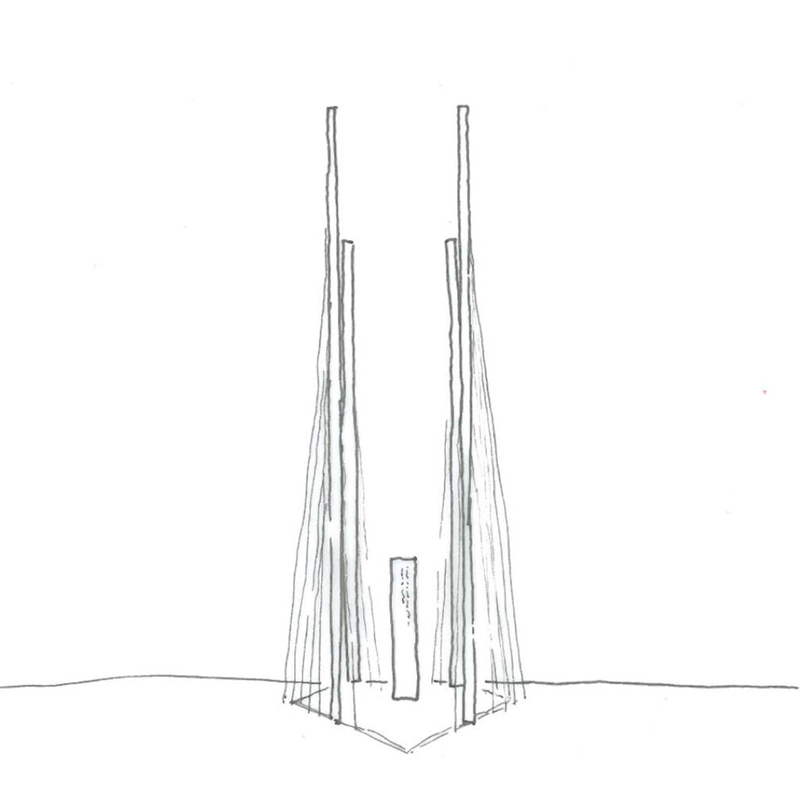 These posts will be supported using tension cables that both echo the ships rigging and provide a subtle enclosure to the reflective space. When viewed from the distance the piece comes together to be aesthetically reminiscent of the training ships but in reflective metal to draw the eye on bright days. 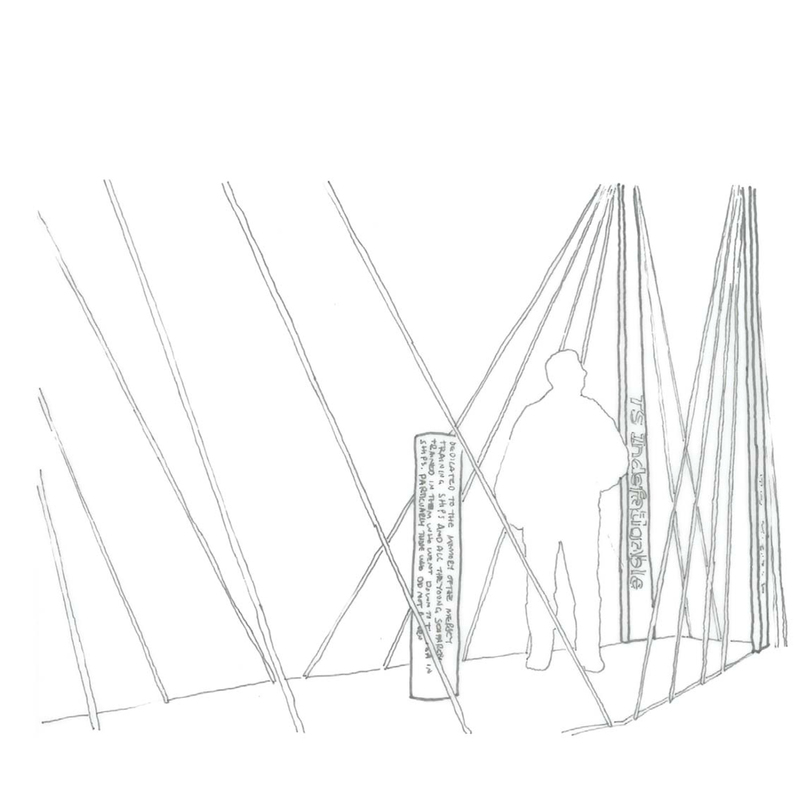 The design was chosen out of 25 entries as it “best met our desire for an individual and imposing public memorial.” MTSMT. 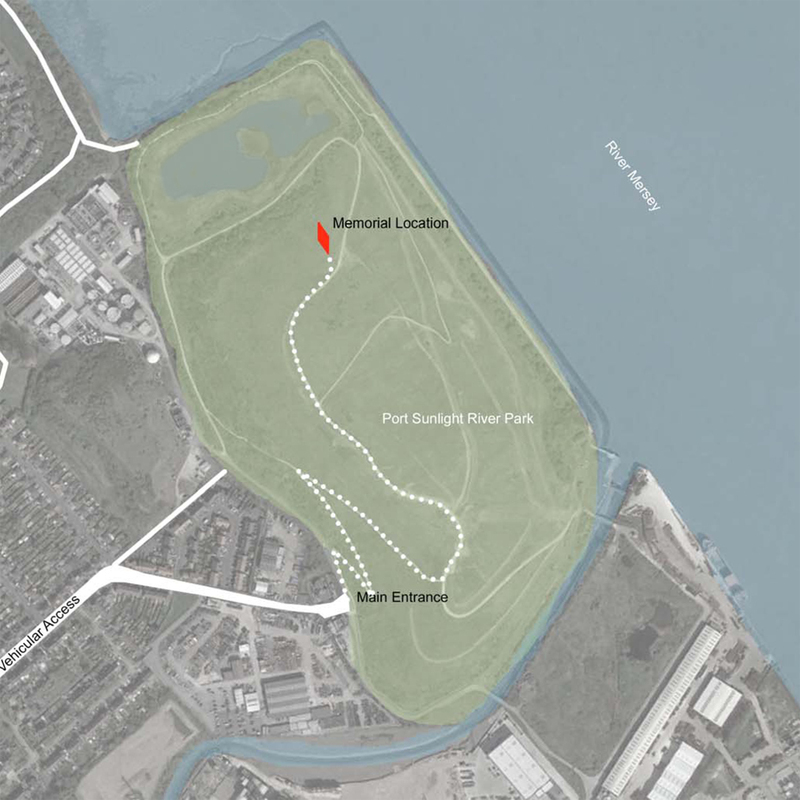 The memorial is targeted to be unveiled in 2017.